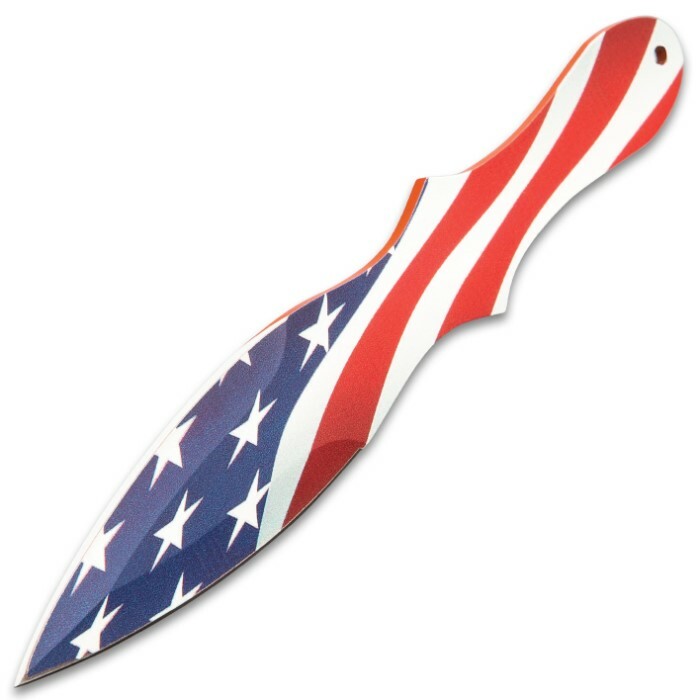 Old Glory Three-Piece Throwing Knife Set With Sheath - Stainless Steel Construction, 3-D Printed Flag Design - Length 7 3/5” | BUDK.com - Knives & Swords At The Lowest Prices! 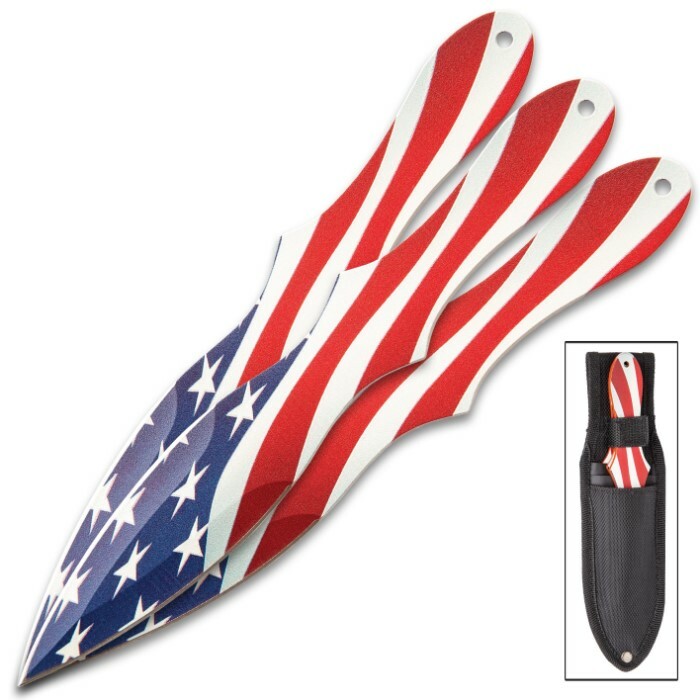 Show your patriotism when you hurl our Old Glory Three-Piece Throwing Knives and watch them spin toward the target in a swirl of red, white and blue. Each 7 3/5” thrower is made of stainless steel and features a vivid, 3-D printed American Flag design on one side and is completely red on the other side. 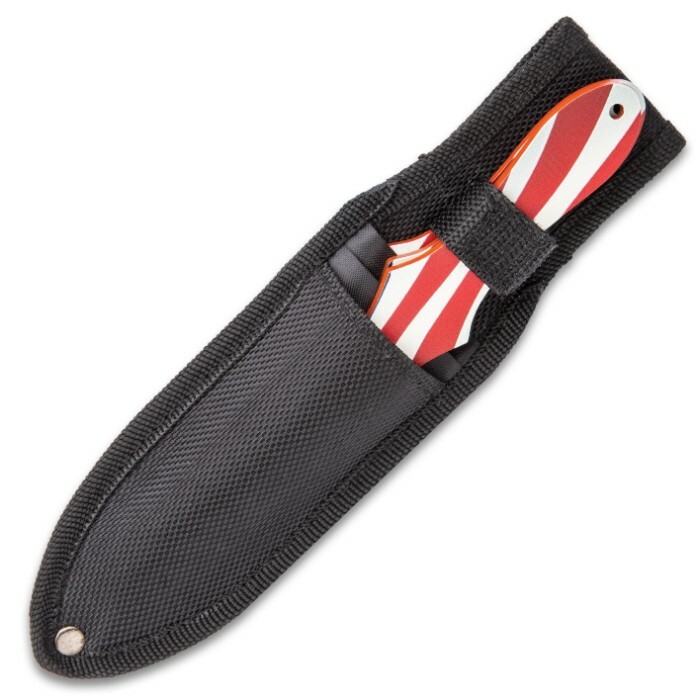 The three-piece set comes housed in a sturdy, nylon belt sheath. Add these patriotic throwers to your collection today!